Eric Schuldenfrei, Founding Partner of ESKYIU, is a designer who focuses on the evolving relationship between architecture, art, and technology. His past projects include an art installation commissioned by Agnes Gund, President Emerita of MoMA; multi-media projects for Salvatore Ferragamo; and digital animations for Diller + Scofidio and The Builders Association’s Obie Award winning multi-media theatre work ‘Jet Lag’. Along with his partner Marisa Yiu they founded ESKYIU a multi-disciplinary architecture studio in New York in 2005 and established the Hong Kong office in 2007. Their architectural practice actively integrates culture, art, community and technology. They have been awarded the ‘Design Vanguard’ by Architectural Record, the ‘Architectural League Prize’, Perspective ‘40 under 40’ award and recently the ‘Design for Asia Award’. Their work has been published in MIT Thresholds, A/D, DomusChina, Wallpaper* and they co-edited the book Instant Culture together. Architectural projects by ESKYIU have been featured in many international biennales: ‘Urban Pastoral’ for the 2008 Venice Biennale; ‘Human Motor’ in Ljubljana; and ‘Aqua Industry’ for the Hong Kong-Shenzhen Bi-City Biennale. 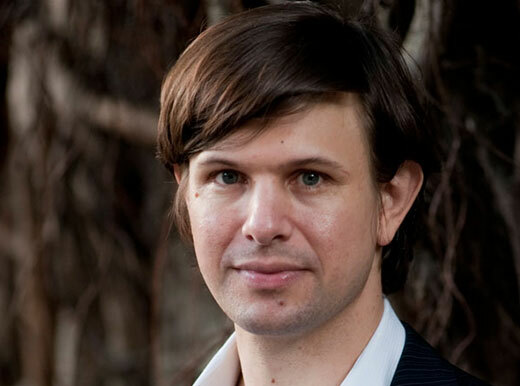 Eric Schuldenfrei received a Bachelor of Architecture degree from Cornell University and a Master of Philosophy as well as a PhD from the University of Cambridge. He taught at Princeton University for six years; Columbia University Graduate School of Architecture, Planning and Preservation; University of Pennsylvania Graduate School of Fine Arts; Architectural Association in London; and is currently teaching at the University of Hong Kong where he is the Associate Dean for Special Projects and Communications. Schuldenfrei served as the Curator for Exhibition, Education, Film, and Media for the 2009 Hong Kong-Shenzhen Bi-City Biennale and has presented at DLD Moscow on the topic of Future Cities, at the inaugural International Design Alliance congress, the V&A museum, the Northern World Mandate in Helsinki, Harvard University AsiaGSD series, the University of Cambridge, and the Royal College of Art in London. His most recent book The Films of Charles and Ray Eames: A Universal Sense of Expectation was published in 2015, focusing on architecture, politics and the moving image.